Over the years, HIV/AIDS has evolved from a certain death sentence to a manageable ailment. This metamorphosis didn’t come easy though, because for a long time, the ambiguous nature of the disease gave voice to AIDS denialists who refused to believe the scientific consensus for the disease. The following individuals and their views fuelled a movement called AIDS denialism, that had many believing AIDS wasn’t caused by HIV. Some of the most infamous proponents of this movement were molecular-biologist Peter Duesberg, chemist David Rasnick, journalist Celia Farber, vitamin salesman Matthias Rath and former South Africa President Thabo Mbeki. Duesberg’s stance that HIV did not cause AIDS, had disastrous consequences, particularly in South Africa where President Thabo Mbeki was convinced Duesberg was right. He was of the opinion that HIV is a harmless passenger virus and the real cause of AIDS was long-term consumption of recreational drugs and antiretroviral drugs. 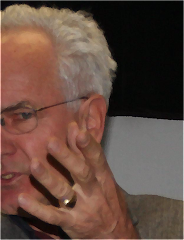 Rasnick claimed that retroviruses are not sexually transmissible and have never been shown to cause disease as distressing as HIV. He believed AIDS wasn’t caused by HIV. He had proposed that HIV testing be outlawed. His work with vitamin enthusiast Matthias Rath in South Africa is even more damaging. They ran trials in South Africa where instead of giving poor people with HIV effective antiretroviral, they were given vitamin supplements. Matthias Rath claimed that a program of nutritional supplements – which he obviously sells – can treat HIV/AIDS. None of his claims have ever been backed up by research. Rath’s views had a lot of influence on South African President Mbeki and his health minister Dr. Manto Tshabalala-Msimang. Rath was castigated by the head of Doctors Without Borders (MSF) who said: ‘This guy is killing people by luring them with unrecognised treatment without any scientific evidence’ whom he obviously tried to sue. His ‘trials’ led to the death of several participants and a Cape High Court banned Rath and his foundation from conducting clinical trials or from advertising their products in South Africa. It also asked the government to investigate the vitamin trials. Meanwhile, Rath expanded his business to target Russia, another country with a huge HIV positive population. Duesberg gained a lot of coverage, thanks to journalist Celia Farber who wrote extensively about HIV/AIDS including articles in which she pointed out flaws in methodology of early HIV researchers. She was also critical of AZT – the first US government approved treatment for HIV. Her writings gave voice to anti-AZT proponents who claimed that the treatment made the disease worse. 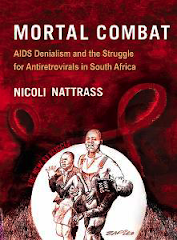 While scientists felt her writings were sensationalist drivel for tabloids, Duesberg’s words in her column, in which he compared people taking AZT to ‘people running into gas chambers,’ had a massive impact on HIV positive people who refused to take the drugs. If Duesberg was the voice of AIDS denialism, Farber was the loudspeaker that helped promote that voice. Christine Maggiore was an HIV positive mother who refused to take AZT and was a powerful advocate who gave the AIDS denialism movement a huge boost. She wrote a book called ‘If Everything You Thought You Knew about AIDS Was Wrong?’ and founded the Alive & Well AIDS Alternatives organisation. The organisation disputed the link between HIV and AIDS, urged HIV-positive mothers to not take anti-HIV medication. She refused to take it herself, which led to the death of her daughter who was born HIV positive and died due to its complications. She never took the medications herself and she allegedly died of AIDS-related complications herself in 2008. Since an autopsy was never carried out, there’s no way to confirm the cause of death, The Los Angeles County coroner’s office stated that she had been treated for pneumonia in the last six months of her life. A doctor familiar with the family claimed that anti-HIV drugs could’ve prevented her death, her fellow denialists claim she died as a result of a toxic alternative medicine or stress. South Africa has more people living with HIV than any other country on the planet and if you were to blame one individual for this sorry state of affairs, it is former President Thabo Mbeki. 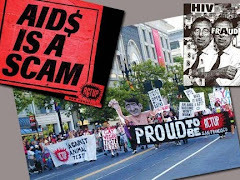 His disastrous regime of AIDS denialism led to 18.8% of the people in South Africa suffering from HIV while as of 2005, the disease killed 900 people each day. In 2000, Mbeki came under the influence of AIDS denialists at the International AIDS Conference in Durban. He believed Duesberg’s theory that, HIV was caused due to poverty in Africa and expensive Western medicine was not the key. He deferred to his Health Minister Dr. Manto Tshabalala-Msimang who served as his health minister from 1999 to 2008. She believed the disease could be treated with alcoholic beverages and vegetables like garlic and beetroot, rather than antiretroviral medicines. It’s believed that these views caused death of at least 300,000 South Africans. Along with the Duesberg champions, another major blow against HIV was caused by the Russian Intellice in Russia who looked to implicate the US in a move called Operation INFEKTION. Through manipulation of data and media control, the KGB wanted to blame the Pentagon for creating HIV in a lab. This had long-term consequences since the entire nation continued to be in denial about the disease and positive tests were hushed up to promote the original view. Docs were forced to misdiagnose and the government failed to take any steps to protect or warn the public about the disease. While it did promote anti-Americanism across the world, the denial led to many people from high-risk groups never getting the treatment that could’ve saved their lives. 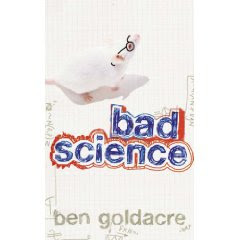 Scarily, there are some who still continue to believe that HIV was created in a lab as a biological weapon.